Ignited on the evening of May 19, 2014, the Funny River fire grew to an estimated 20,000 acres by mid-day on May 21. 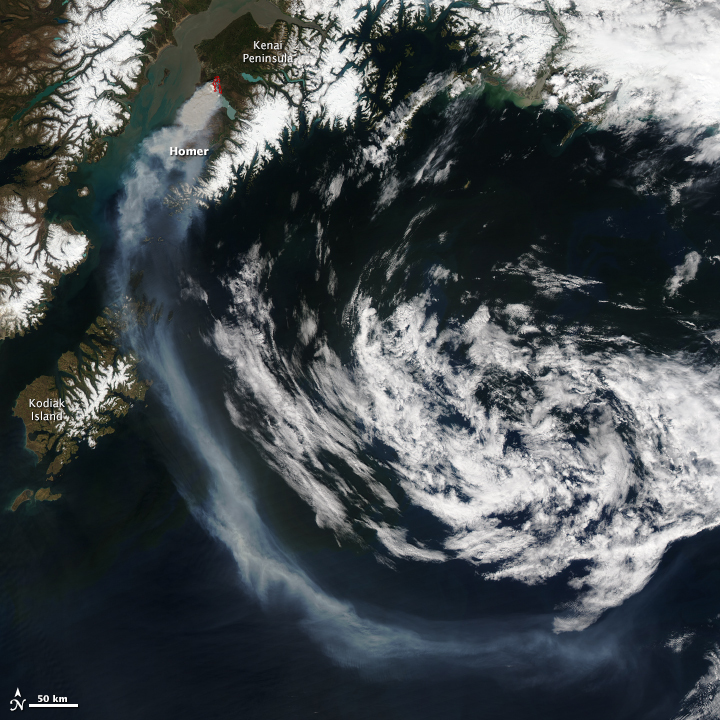 The Moderate Resolution Imaging Spectroradiometer (MODIS) on NASA’s Aqua satellite acquired this image of the fire on May 20 at 2:30 p.m. local time. The fire is outlined in red. 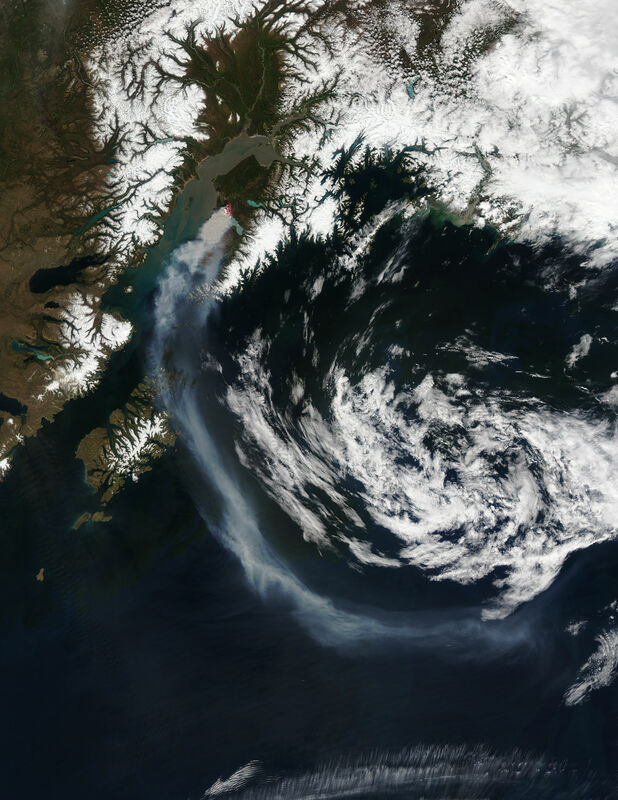 The fire is burning on Alaska’s Kenai Peninsula in the Kenai National Wildlife Refuge. The smoke plume is affecting air quality in Anchorage and Homer. InciWeb (2014, May 21) Funny River Fire. Accessed May 21, 2014.